When it comes to platform market share, Android continues to dominate with 2 billion monthly active devices globally, according to a 2017 market study. Despite this, still not many Android devices have a built-in QR Code reader. If you’re wondering whether your smartphone or tablet natively supports QR Codes, keep reading to find out. QR Codes are two-dimensional barcodes. QR stands for Quick Response which refers to the instant information access hidden in the Code. They are customizable, both in function and design, and are the best channel for connecting traditional print media with any interactive online content. The best way to figure out if your device can read QR Codes is to open your Camera app and point it steady for 2-3 seconds towards the QR Code you want to scan. Whenever scanning is enabled, a notification will appear. If nothing happens, try going to your Settings app and enable QR Code scanning. How do I scan QR Codes with My Camera on Android OS? Depending on the type of QR Code scanned, you will be prompted with a different action. For example, any URL Code will ask to open the link with Google Chrome. If it’s a vCard Code, it will give you the option to add contact details to your address book. My personal favorite is this reader software; it’s a basic, no-fuss app that reads pretty much every type of QR Code you put in front of it. Currently with 291,000+ reviews, this QR Code reader app is the most popular on Google Play Store. 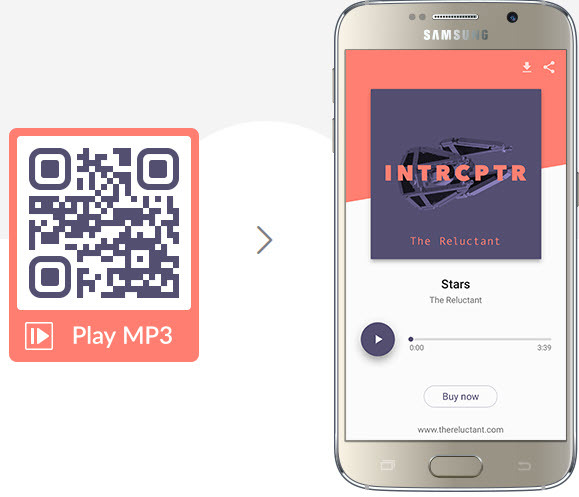 This app is one of the top-rated on Google Play Store and, as the name suggests, includes a built-in flashlight for scanning QR Codes in a poorly lit setting. With 166 million monthly active users, this popular mobile app can also read QR Codes. Just point the camera towards the QR Code, then tap and hold the screen to open the link. Known as a music recognizing app, Shazam can also scan QR Codes for interactive content, special offers, and the ability to purchase items or share them with others. The social network added QR Code scanning in its Lens visual discovery feature to make it “more useful and actionable for brands” that are using the platform to promote their products. Every QR Code has a specific purpose. If you are thinking of creating a marketing campaign, you can use the various types to provide different types of information to your customers depending on the goals of a campaign. Below are some of the popular QR Code types. Callback-URL Codes allow users and third-party apps to craft specialized URLs that launch a specific location of an app after scanning the QR Code. Phone Codes quickly dial an outgoing call instead of having to enter it manually. If you want to combine this feature with the vCard Code, check out vCard Plus. Wi-Fi Network Code will connect to the relevant network and present users with a notification to confirm the connection when your smartphone is linked to a Wi-Fi connection. SMS Codes send out an editable SMS message to a certain phone number after scanning. This would be valuable for getting customers to subscribe to an SMS-only marketing list. Map Codes show the exact address location and are GPS coordinate specific. On an Android device, this QR Code automatically opens Google Maps. Email Codes are used to send out pre-defined (but editable) messages to a specific address. For a business looking to collect customer email addresses, this is for you. Event Codes quickly save the date to your calendar from a meeting or party invitation. vCard Codes allow you to save someone’s contact information directly into your address book. This type of Code is perfect on business cards and resumes at networking events. Website URL Codes open Google Chrome from your Android device and go to any page on the web. Check out my previous blog post: Implementing Bar Codes, for more “How To” information on setting up your own QR Codes.